The PT do itt he most extensive work today. The PT is a versatile instructor in Fitness-Wellness gym, hotels, sportclub, spa centers e.t.c. The PT is instructing groupexercise classes and do it 1 to 1 lessons too. The aerobic lessons are the based all lessons in a fitness life. Group exercise lessons with rythm of fantastic music, what are built muscles, condition, coordination, good for soul and mind too. Work with basic sport equipments. The fight lessons are the most popular lessons int he all gym. In a good gym have to be fight lesson. Buti f the instructor never learned the real technincs, she/he will be teach wrong motions and the people will have some injurys. So it’s so important: we will be qalified! 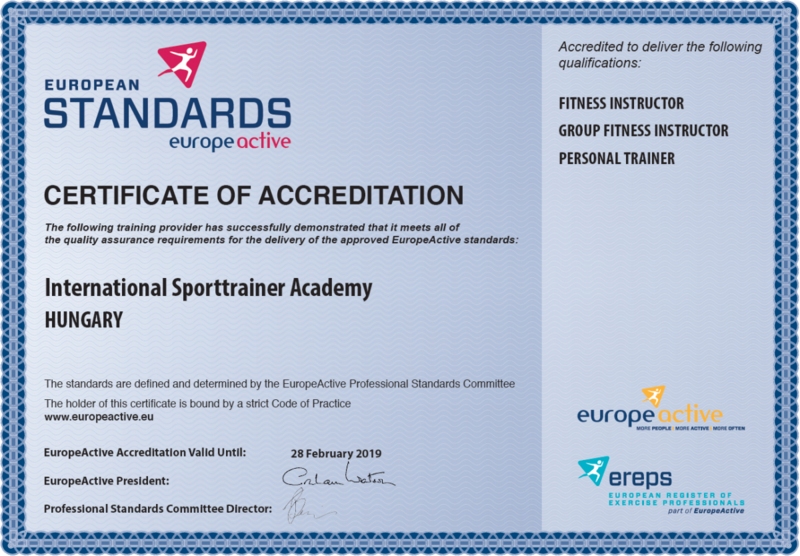 Welcome in the International Sporttrainer Academy (I.S.A.). I’m very happy, you choosed us to raising your knowledge higher. I.S.A. is a school for sport and fitness trainer. We created to provide the best educations with best teachers. The three higher level educations (Personal Trainer, OKJ Fitness-wellness instructor, OKJ Sporttrainer (box/kick-box)) are 280 hours in and based the other shouter courses what are 2-5 days and 20-30 hours and building on the three highers. Courses may be carried online or personally too. I hope we see you again in one of our courses. Online: Ee send the curricculums in e-mail with homework. You will send back and if it will good we send the next pack. Short videos about basic, most important exercises, and longer videos about group trainings. Examination in the end write and practical too on skype or personally. Personally: We will meeting every 2nd weekend. Examination with face to face with the groups.